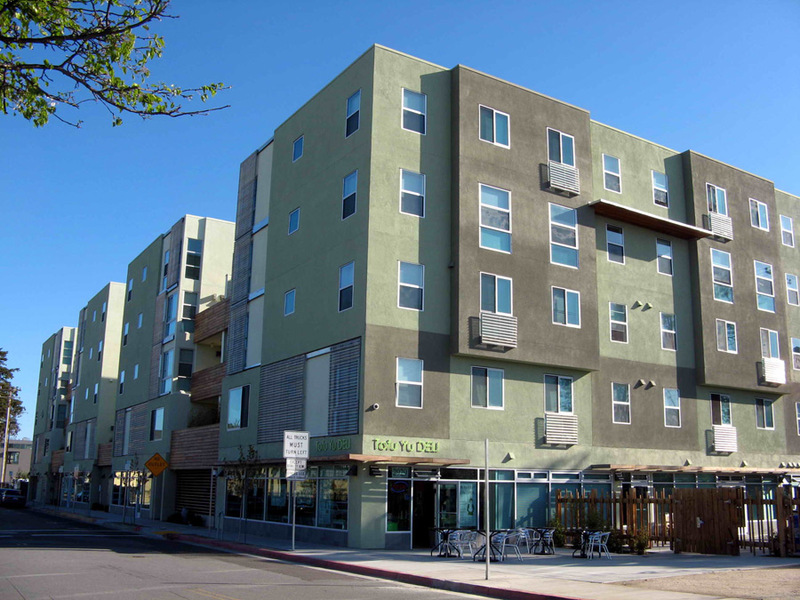 Murphy Burr Curry, Inc. designed and developed two new five-story buildings, each with four stories of apartments over a concrete podium structure. Commercial space and parking areas are available on the ground floor. 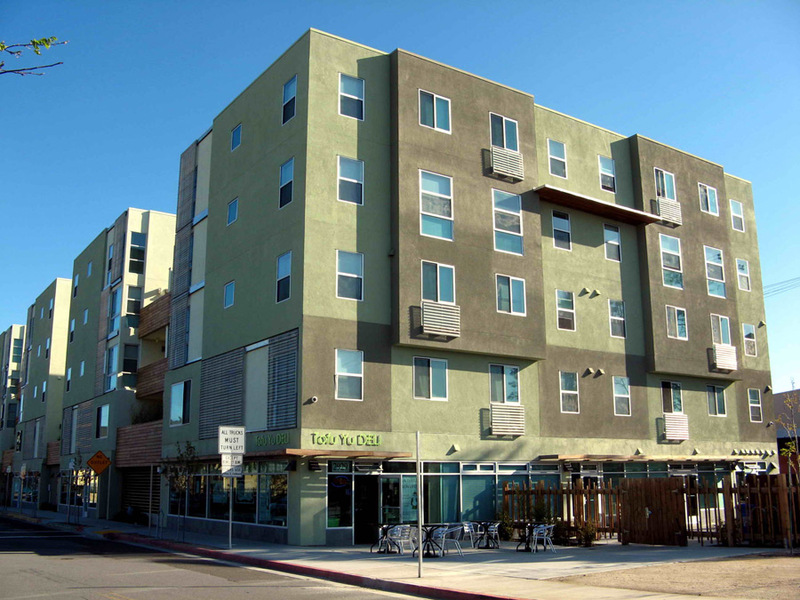 The upper levels feature 54 one-, two- and three-bedroom units of affordable housing. Each building is organized around three courtyards with a common room, playground and laundry. MBC incorporated sustainable design features throughout this project, including photovoltaic generators and a solar-powered hot water system. The structural system includes four stories of wood framing over a post-tension concrete podium slab.